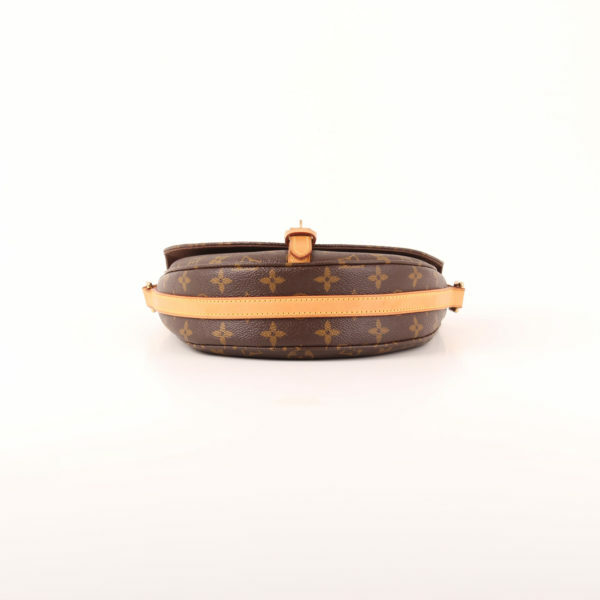 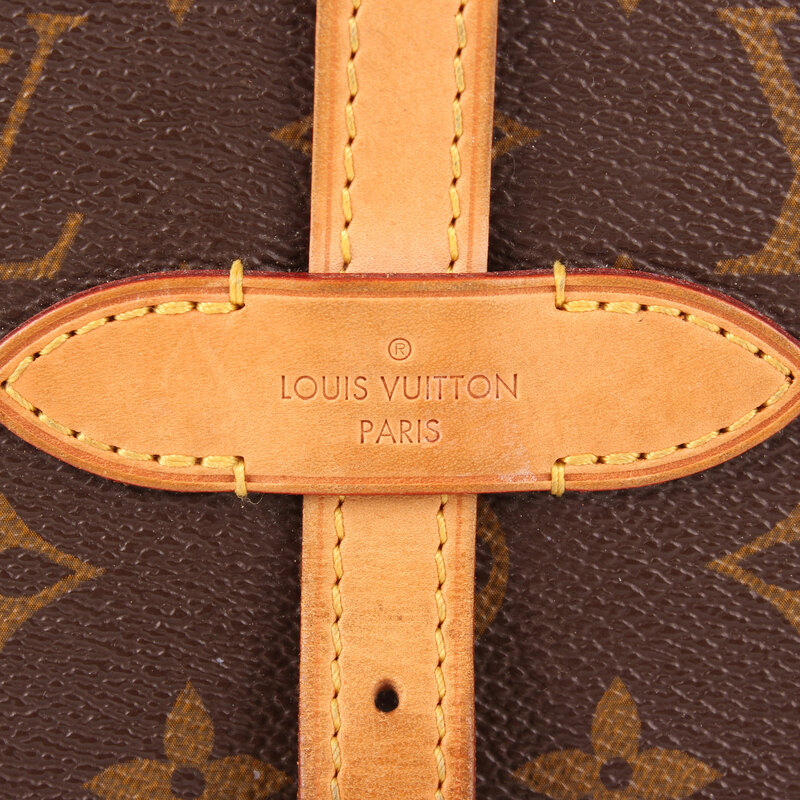 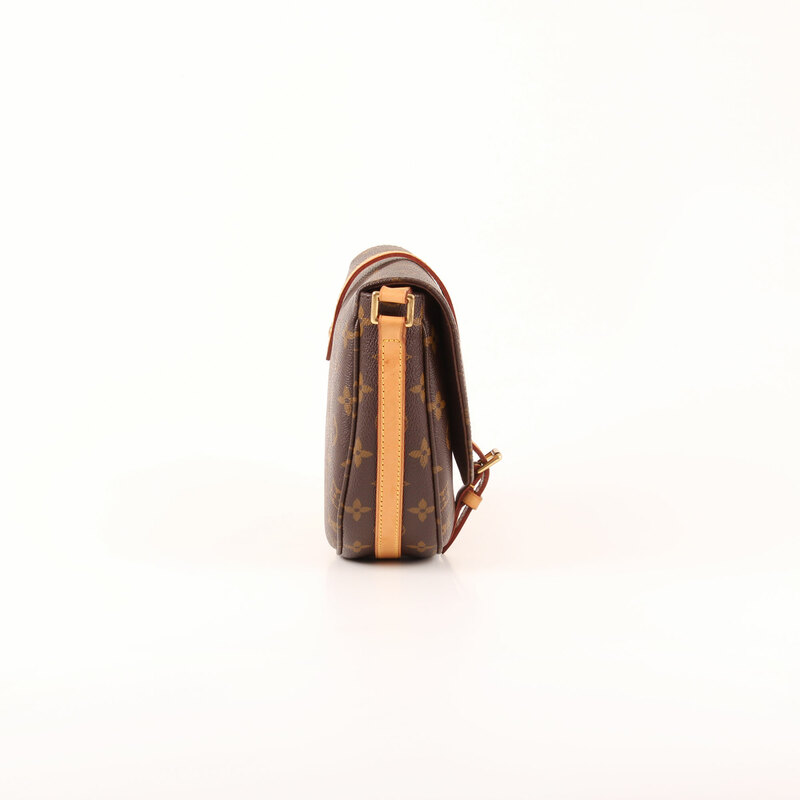 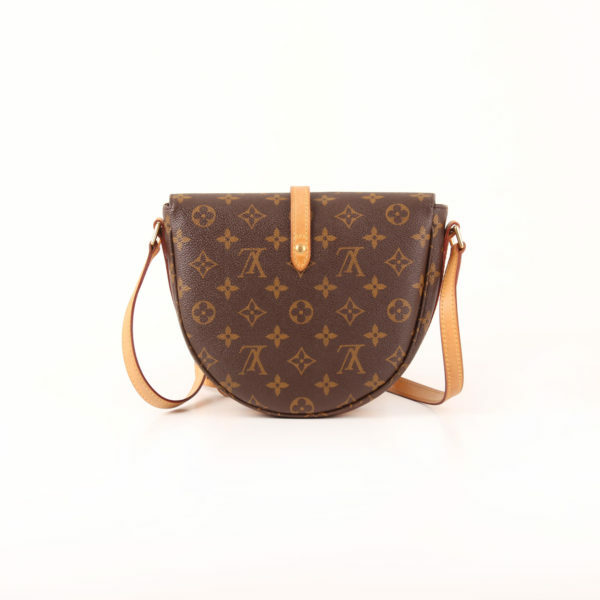 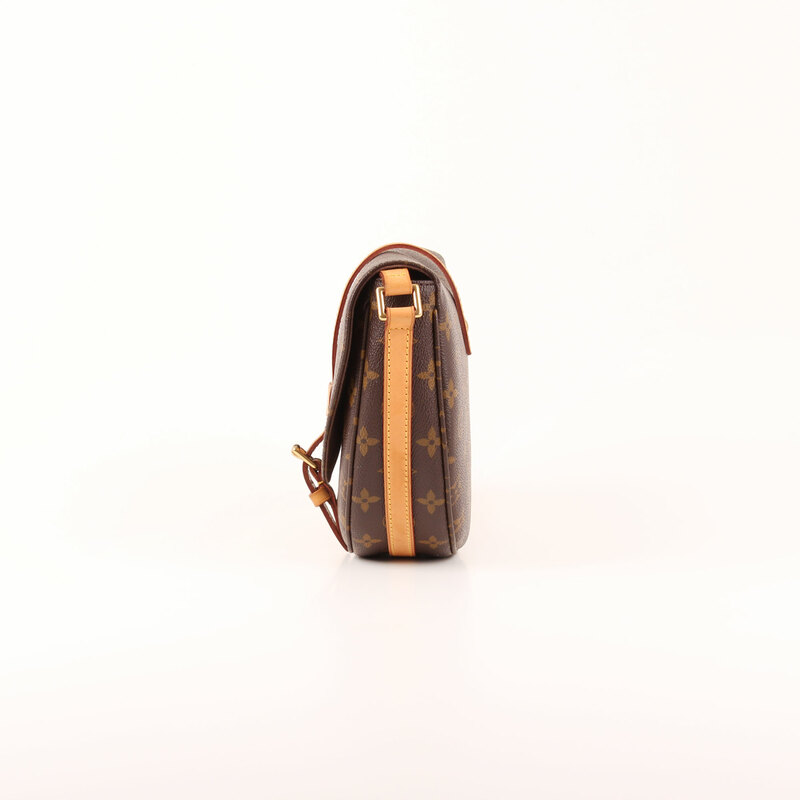 Louis Vuitton Chantilly Monogram. 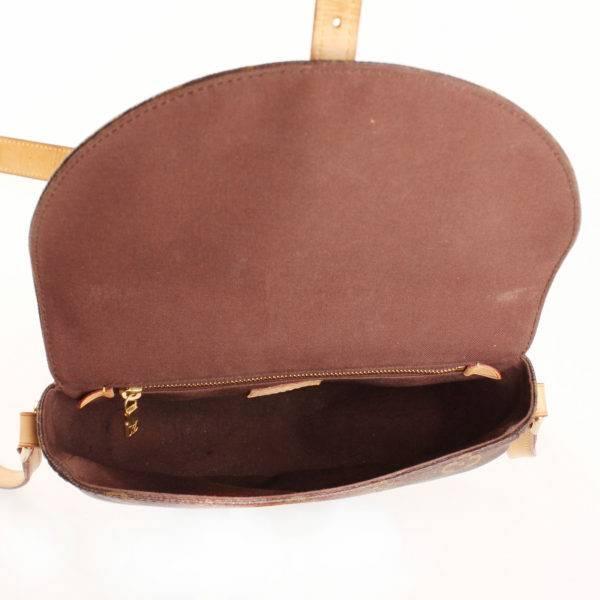 Messenger bag with a small, round shape. A pretty chic, cutie model. 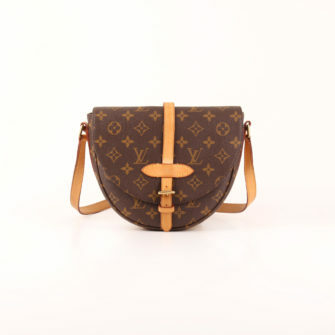 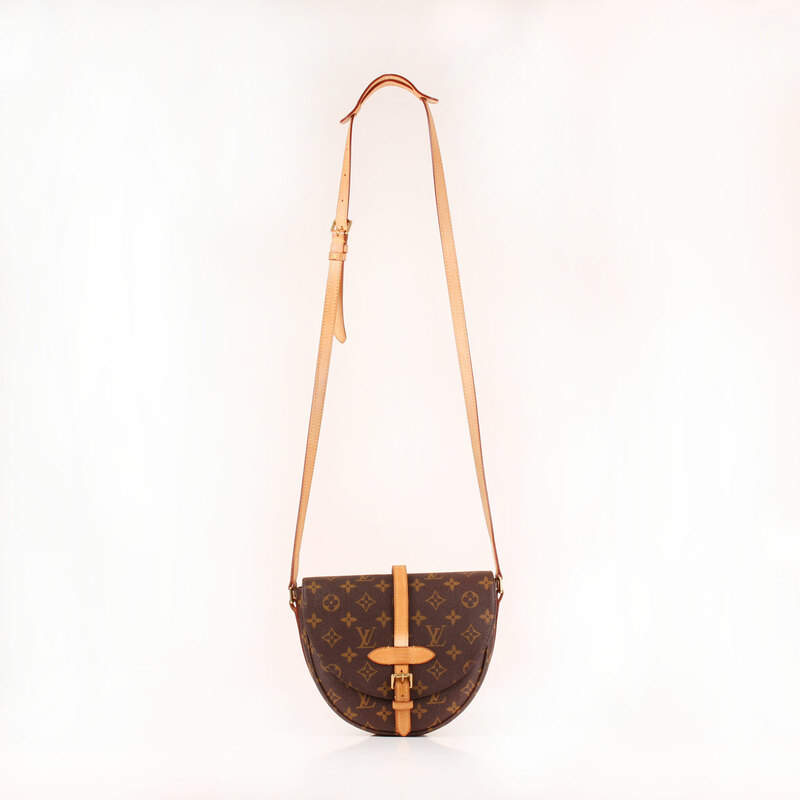 Messenger bag Louis Vuitton Chantilly in monogram canvas and natural cow leather. 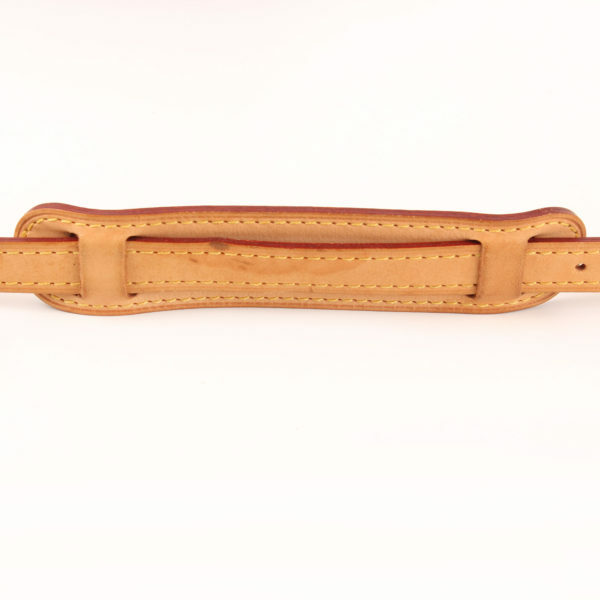 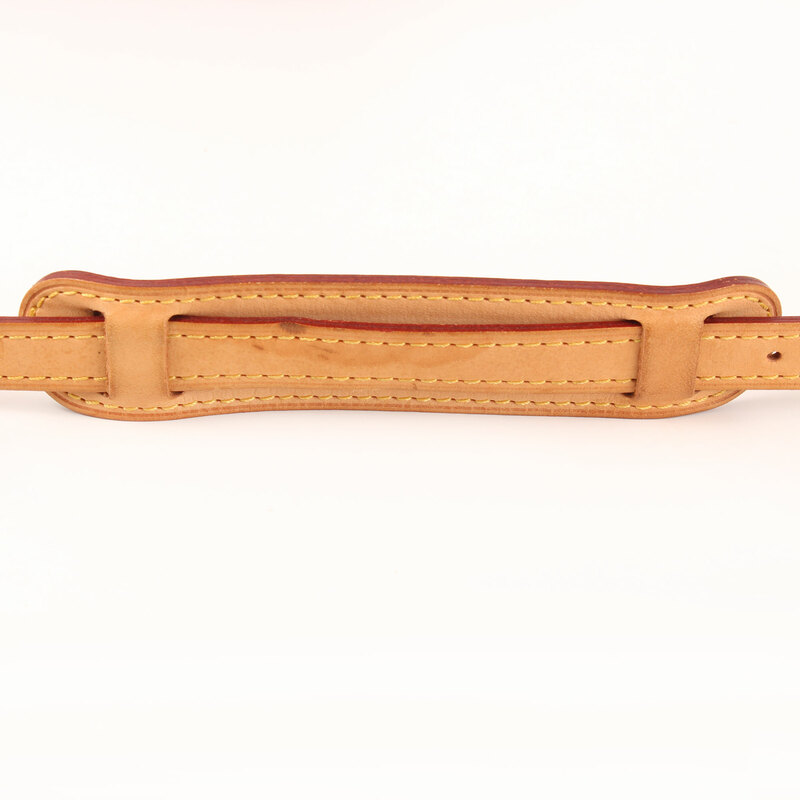 Adjustable leather strap with reinforcement to be more confortable to carry. 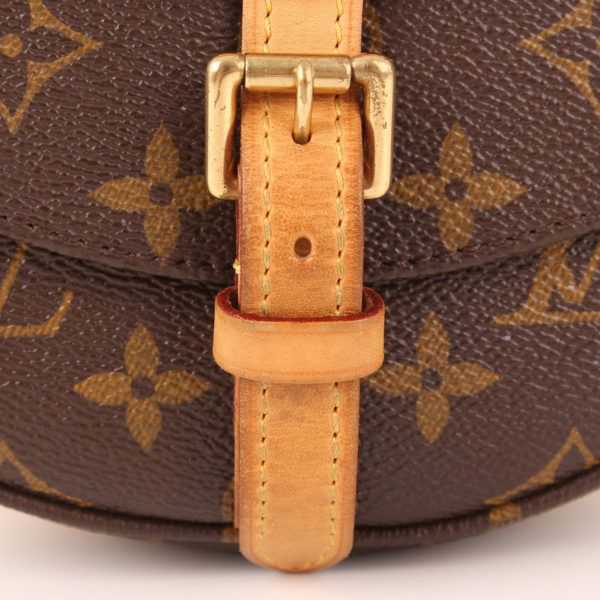 Buckle fastener and golden hardware. 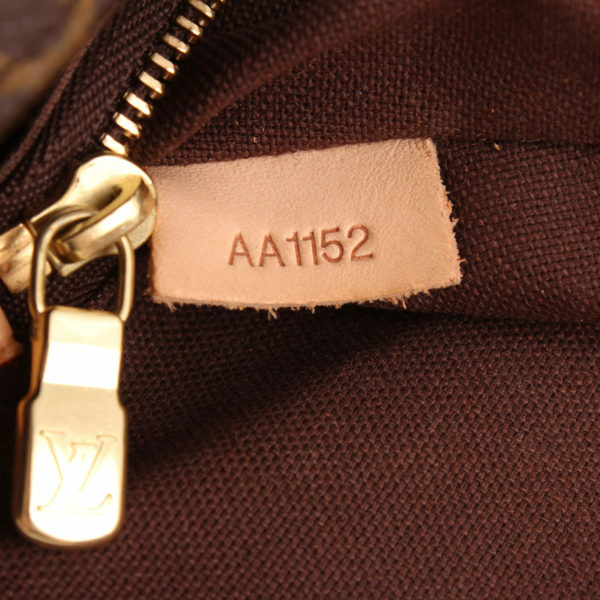 Brown canvas lining featuring a zipper close pocket. Details: A little darkening in some parts of natural leather. Some slight white scratches in canvas under flap. 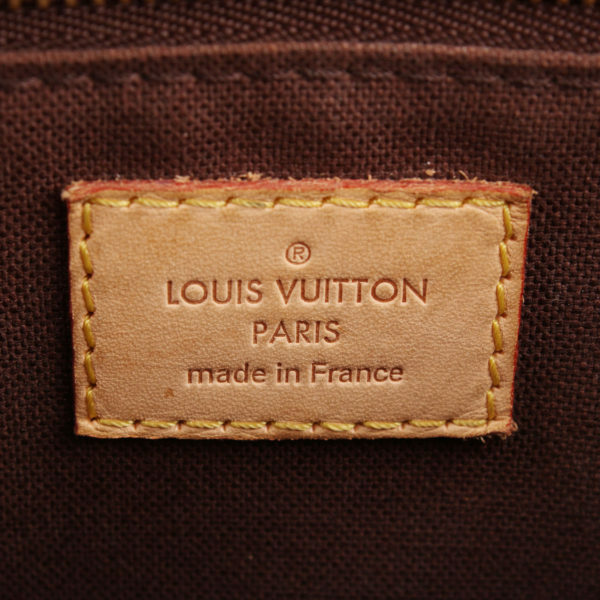 Four little pen marks in lining, barely noticeable.